The practical effect of Massachusetts’ modified comparative negligence rule is that a plaintiff can seek recovery if they are found to be less than 51% at fault for causing an accident. The statute requires that the plaintiff’s negligence, when added to cumulative negligence of the named defendant’s, adds up to one-hundred percent. In either a pure or modified comparative negligence analysis, the plaintiff’s ultimate recovery will be reduced by their percentage of fault. Importantly, in Massachusetts personal injury cases, the plaintiff is presumed to have exercised due care, and the burden to prove that the plaintiff was negligent rests with the defendant. Similarly, a plaintiff who was found in violation of a criminal law, ordinance, or regulation will not necessarily be barred from recovery. Instead, the violation of the statute will be evidence of negligence subject to rebuttal. Given the nature of Massachusetts’ modified comparative negligence statute, it is critical that all personal injury victims consult with a dedicated Massachusetts personal injury lawyer. Defense attorneys are keenly aware of the state’s comparative negligence laws, and routinely attempt to preclude a plaintiff’s recovery by shifting blame onto the plaintiff. 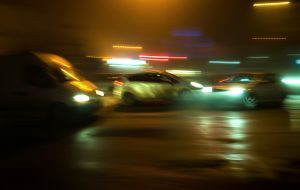 Have You Been Injured in a Massachusetts Car Accident? If you or a loved one has recently been injured in a Massachusetts car accident, you may be entitled to monetary compensation. This may be the case even if you were slightly at fault for the collision, or could have done more to avoid it. The dedicated Canton personal injury lawyers at the Neumann Law Group have extensive experience bringing all types of Massachusetts personal injury claims, and knows what it takes to be successful on behalf of their clients. To learn more about how Neumann Law Group can help you with your case, call 617-918-7790 to schedule a free consultation today. Massachusetts Court Dismisses Case Where Plaintiff Was Injured by Falling Luggage, Massachusetts Injury Lawyer Blog, November 21, 2018. Massachusetts Court Holds No Duty of Care to Psychiatric Patient’s Neighbor, Massachusetts Injury Lawyer Blog, August 15, 2018.